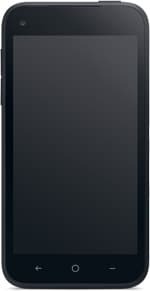 The First features a 4.3-inch 1280 by 720 pixel touch screen, a 5MP camera and runs Android 4.1 Jelly Bean. A 1.4GHz dual core Qualcomm Snapdragon 400 SoC drives the device, which also offers Bluetooth 4.0 and LTE support along with NFC. The device was announced on 4 April 2013 and will be available from AT&T in the US from 10 April at $99.99 on a two year contract, or $450 on a month-to-month deal. The First is expected to arrive in Europe on Orange and EE.